AGS extends its presence a little more every day in records management and records management on African soil. Dedicated divisions are emerging throughout Africa to address the records management need of institutions and businesses on the continent. AGS extends its presence a little more every day in records management and records management on African soil. Dedicated divisions are emerging throughout Africa to address the records management need of institutions and businesses on the continent. The last bricks for brand new warehouses have been laid in Namibia, Senegal and South Africa. A few weeks ago two brand new warehouses were inaugurated in Burundi and Gambia. Samuel Mergui, AGS Director of International Records Management, travelled to Bujumbura to attend the launch of the records management and records management activity at AGS Burundi. AGS Movers Burundi Manager Francis Leclet also attended the event which took place on 04 October. 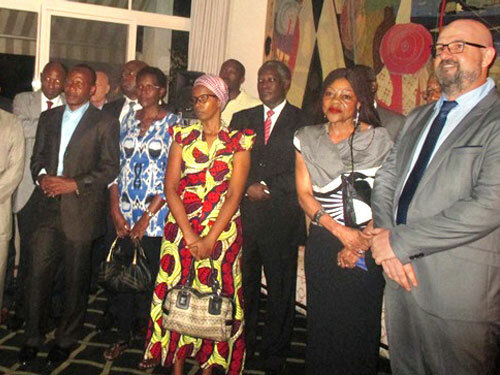 The official inauguration was held at the French Embassy in Bujumbura, in the presence of the Ambassador of France in Burundi, Mr. Laurent Delahousse and many guests, representatives of private companies and public bodies, including the Ministry of Foreign Affairs and the Ministry of Finance. In his inaugural speech, Samuel Mergui informed guests of the records management market in Africa. This service enables companies to not only outsource the safe storage of thousands of documents, but also to securely preserve records with digitisation. Finally, heritage digitisation involves cutting-edge technologies for safeguarding documents that have historical value or contain sensitive information. AGS has over the years built close relationships with African universities for which it provides records management services. This activity will also generate numerous job opportunities. AGS initiates archivist training in the countries where this service is offered in order to equip and hire competent local staff. 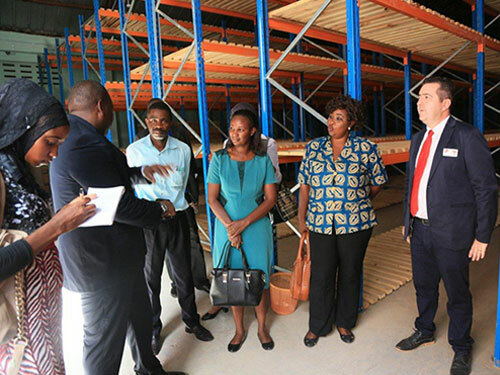 This is the goal set in Burundi and Gambia, where AGS inaugurated another warehouse dedicated to records management services the next day, on 5 October. Cheikh Tidiane Sy, Director of Records Management Development in West Africa, was present in Banjul to celebrate the launch in Gambia. Together with Cheikh, Martial Chazeaud, AGS Movers Gambia Manager and Emefa Djakpo, a freshly recruited archivist, presented the activity to the guests, as well as the new warehouse with a storage capacity of 8540 containers, i.e. nearly 35,000 archive boxes. Equipped with security systems (cameras, fire detectors, electronic locks) like all AGS warehouses, this one will also be equipped with a photo-voltaic system to cope with power cuts. We wish the Burundi and Gambian teams plenty of success in their new activity.